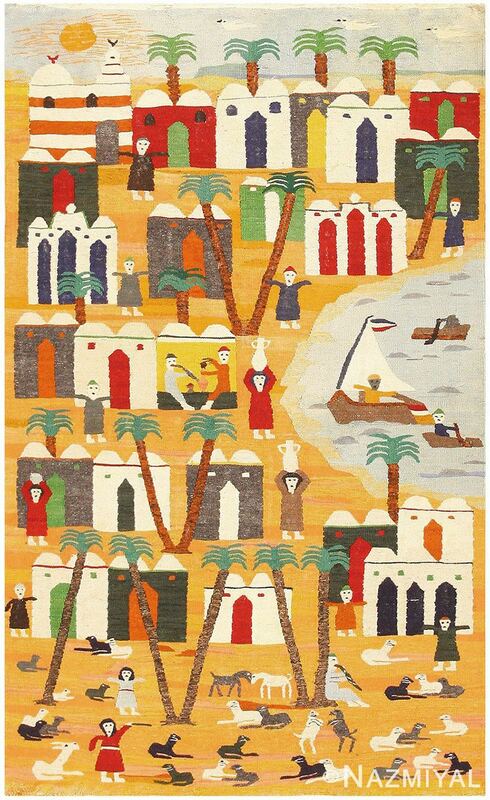 How to hang a tapestry – A tapestry is a textile fabric that is typically adorned with a scenic or pictorial design. Whether the blends of the design are weaved using colorful threads or embroidered, the decorations can beautify a wall or room. Depending on where you use them throughout your home, a wall tapestry can also muffle sound that penetrates a room. Tapestries aren’t fragile and won’t break if they fall. But to ensure they do your wall justice, they should be hung correctly. If your tapestry already has a “rod pocket”, you can hang the piece using a rod and finials. 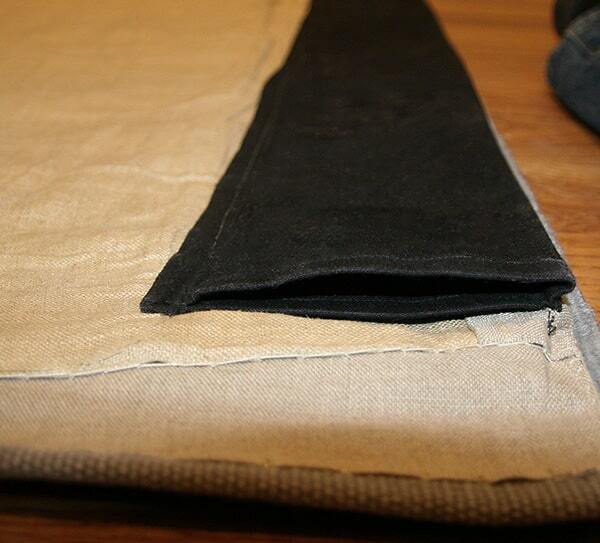 The rod pockets will usually be sewed to the back or top of the piece. This technique is similar to what you’d do when hanging a curtain or drapes. This is a straightforward and easy method that won’t take up a lot of time. 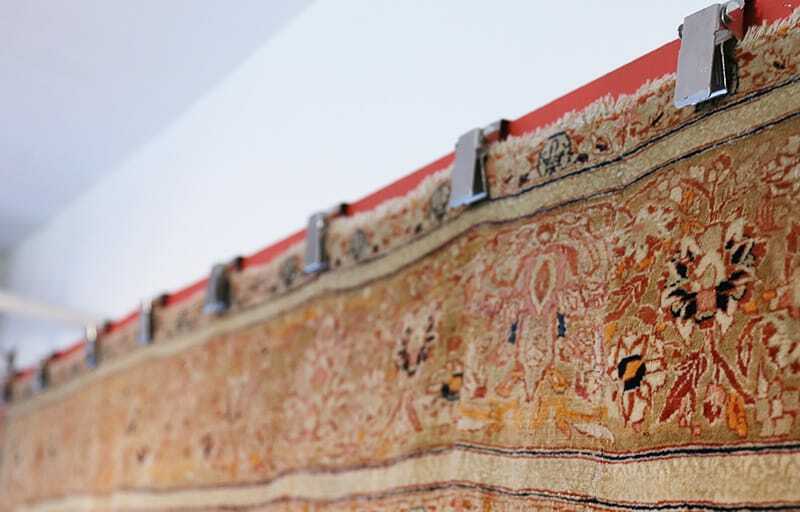 Simply add and secure brackets to the wall, so you can place the tapestry once it’s hung. When using brackets though, remember that your tapestry will end up hanging a small distance from the wall. How far it will hang will depending on the type of brackets you use. If you would prefer that your tapestry will hang flush against the wall then you will need to go with a different method of hanging your tapestry. To ensure the proper look and feel of your home, choose your brackets, rods and finials with your room’s interior decor in mind. When shopping for finials and rods, it might be wise to bring a photo of the tapestry and the room you wish to decorate. This should help you visualize the style you’re looking to capture or create. You can use rods that are specifically used for hanging tapestries. 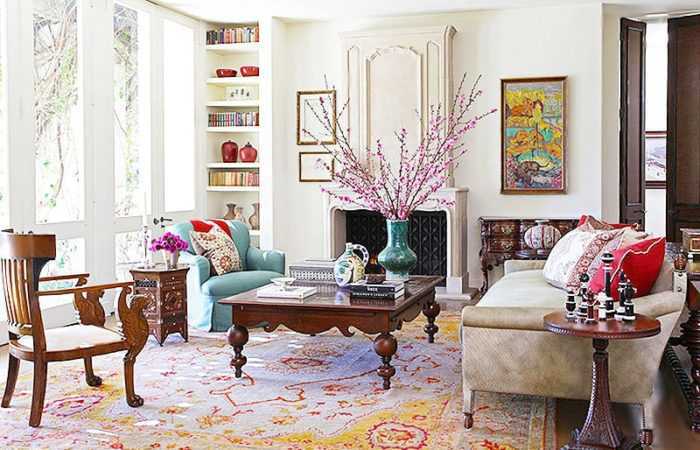 That said, if you favor something more simple, you can just as easily use curtain rods to hang your rug or tapestry. Whatever you use, just make sure the pocket and rod fit properly in diameter, weight, width and length. You should also make sure that the rods and brackets can withstand the weight of the piece. Tapestry hanging rods that are usually between ½ to ¾ inches in diameter can typically hold tapestries that weigh 10 pounds or less. 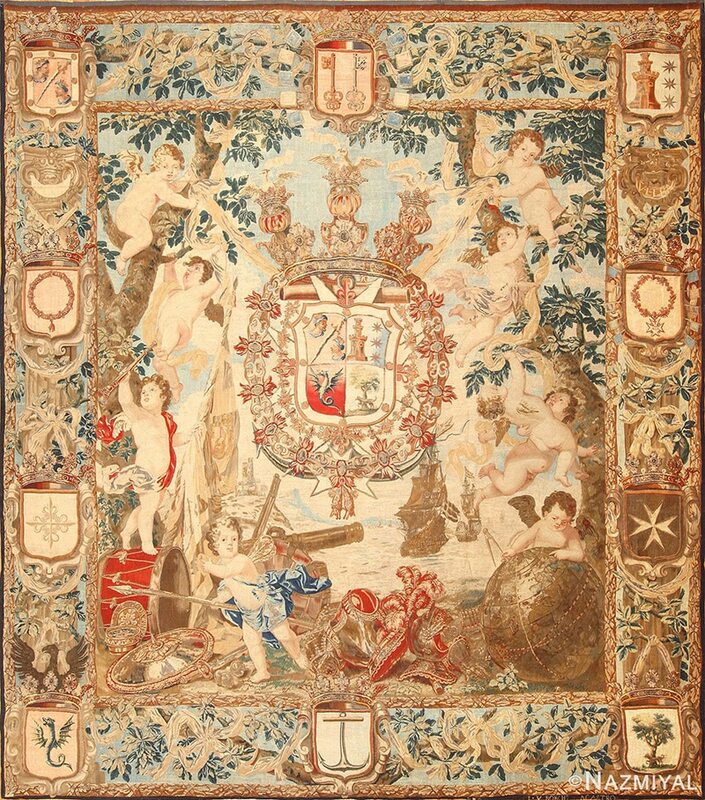 The rod should also be long enough to display the decorative finials beyond the tapestry’s edge. When entering a room, all eyes will be focused predominantly on the finials and less on the brackets. The brackets should extend about ½ inch from the wall. 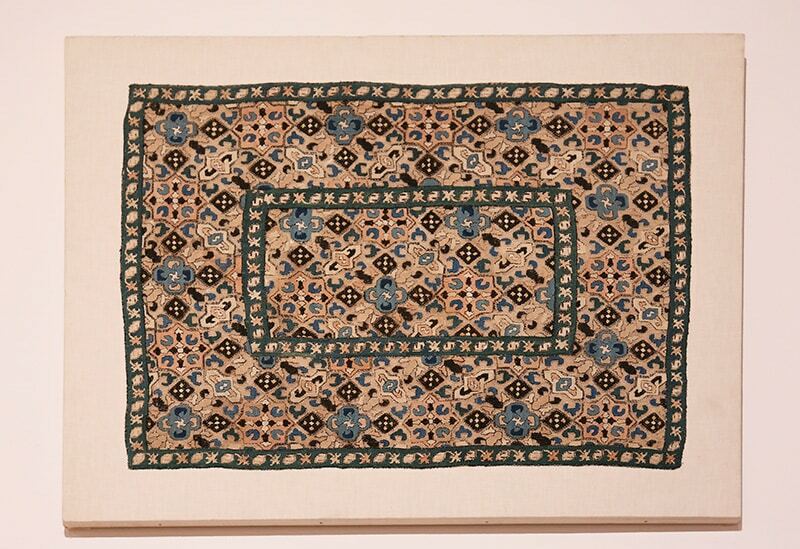 Find a special place for the tapestry in your room and try to hang the tapestry or rug at eye level. 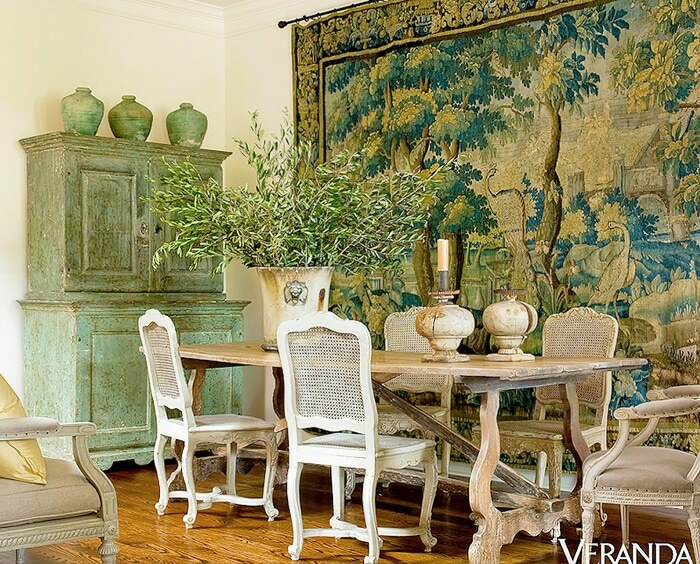 If your walls are expansive or you’ve opted to hang over a chair or sofa, you may want the tapestry hung higher up. 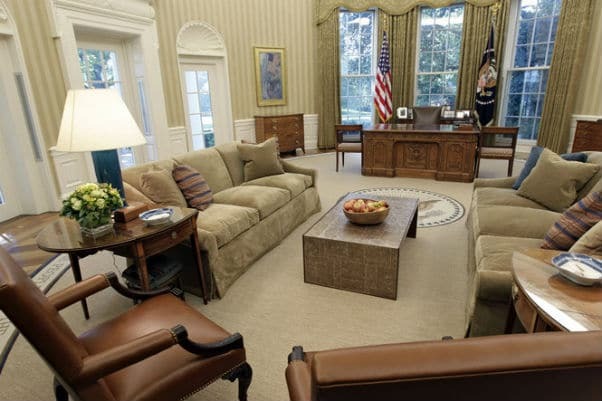 This will ensure that none of the tapestry’s design will be obscured by the furniture. If it was folded for a while, the tapestry may need to be ironed, to remove any wrinkles or creases, before hanging it. We strongly suggest that you test an area on the back of the tapestry first and make sure to do so at the lowest temperature setting on the iron. If the wrinkles still fail to come out in back, place a dye free towel or sheet over the front and iron. Gradually increase the setting on the iron if the wrinkles are slow to remove. Take your time and do this right. 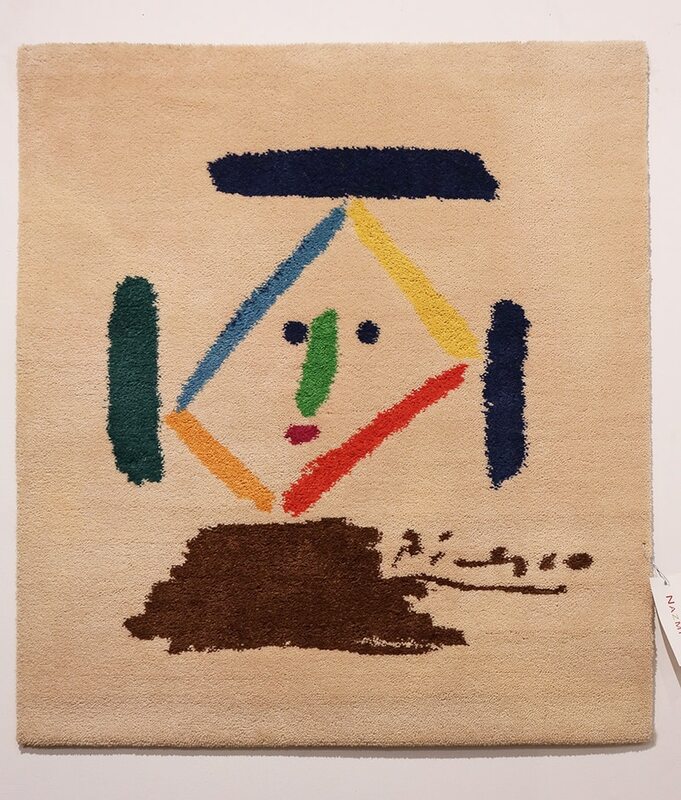 Last thing you want is to discolor or burn the tapestry. If the tapestry is on the lighter side in weight, you can hang it pretty much anywhere using drywall screws. A ruler or tape measure should also be used to accurately hang the tapestry and ensure its level. Just make sure the drilled holes are the same distance from the ceiling on either side (assuming your ceiling is leveled). Once the holes are drilled, attach the brackets. Take note of your specific type of wall to determine if a drywall, masonry or wood screw is the best option for the job. When the brackets are in place, the rod can be threaded through the tapestry pocket in the back or top. Place the finials at the end of the rods and tighten and set the tapestry and rods onto the brackets. After you’ve checked to make sure everything is in place and mounted safely, you’re now ready to sit back and enjoy your decorative piece of art work. If your tapestry doesn’t have a pocket for your rod, you can easily sew one on. You’ll need heavy duty cotton thread to tackle the task and stitches that are strong enough to hold the tapestry in place. Simply sew a strip of fabric to the back of the tapestry’s edge with a thread that is similar in color to the most dominant in your tapestry. This will help the threads blend with the other hues. The sewn edge should stand up in the middle, so the rod can fit into the pocket straight and with the right amount of space once inserted. If the top edge of the strip is not sewn evenly, your tapestry will hang crooked on the wall. Test the fabric pocket as you go along to ensure the rod fits properly. You can use a normal rod or baseboard to hang your tapestry using the previously discussed methods. If you want to hide the hanging mechanism, you can use a rod that is shorter than the width of the tapestry. But if you’re using the shorter version of the rod, it should be hung using two screws that are secured to the wall at the rods ends. 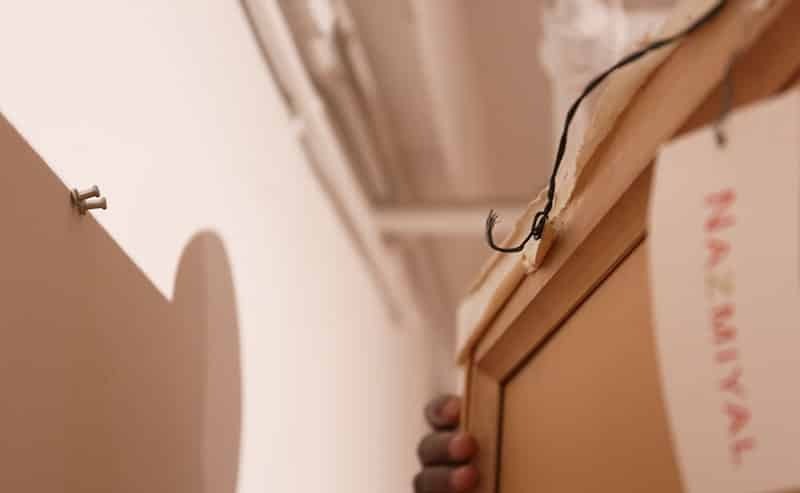 If done correctly, the entire hanging brackets, rods and finals should all be invisible to the eye when looking at the front of your hanging tapestry. 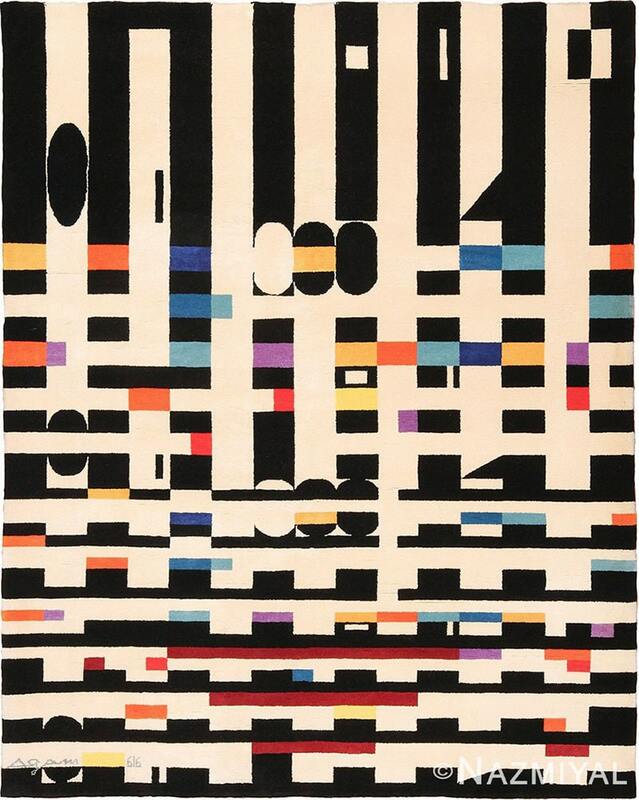 ***Please note that you may want to sew pockets for the rods both at the top and bottom of your tapestry. The top will be used for the actual hanging while the bottom can be used to add more weight – thus ensuring the tapestry will hag straight down. 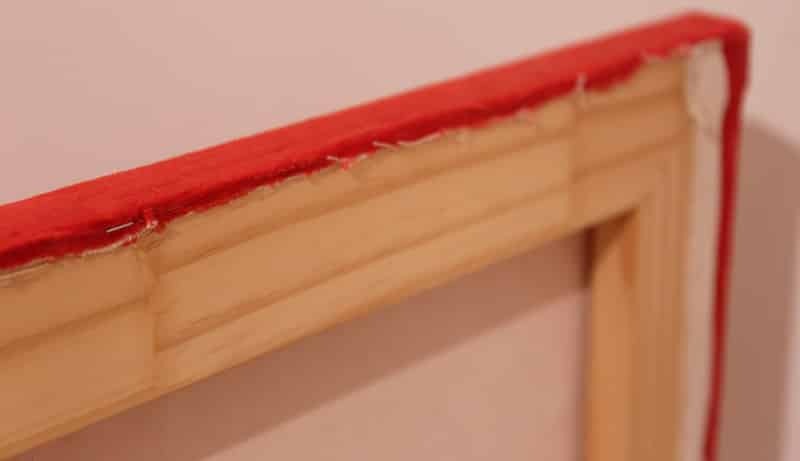 If you’re unsure of the location you wish to hang your tapestry or you might be looking to change its placement periodically, Velcro is a wise alternative to rods. This is because it conforms and it’s also the best choice when hanging tapestries on to a wall that is curved. 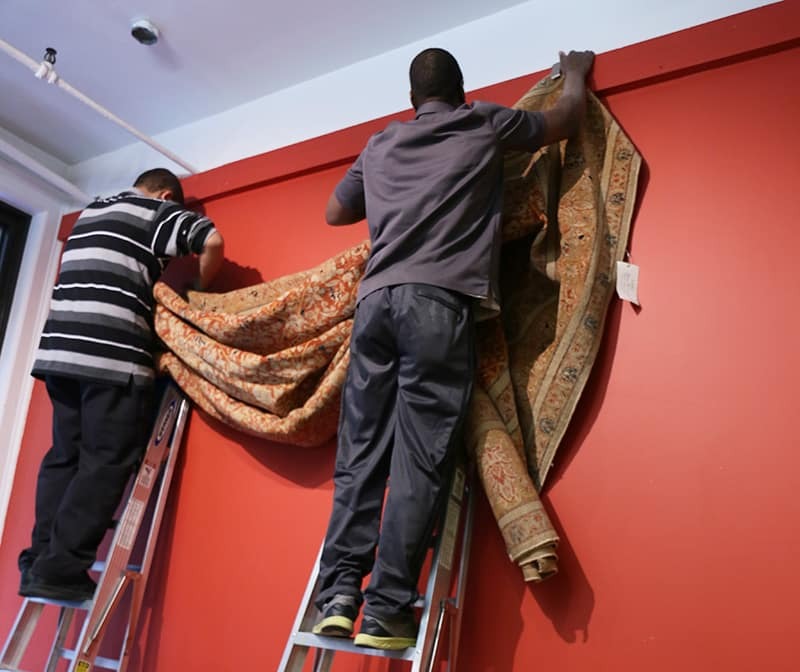 As a matter of fact, this method of tapestry hanging is most commonly used by curators at museums. First off, choose a strip Velcro that is a little smaller than the tapestry’s width. You will need to use both sides of the the Velcro to ensure it attached correctly. 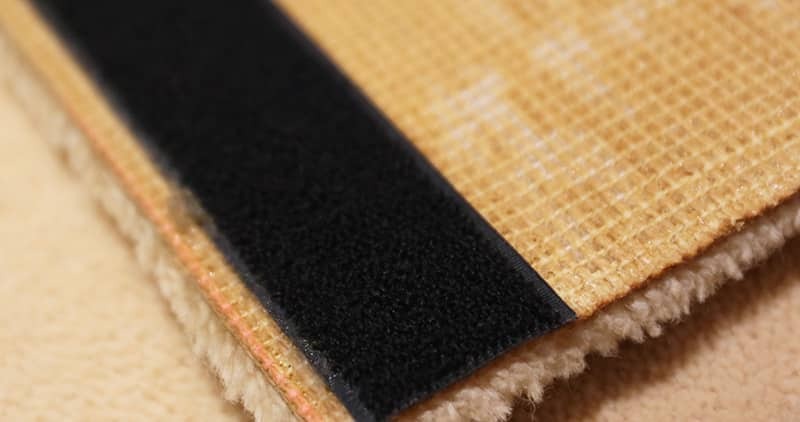 Velcro comes in a variety of widths that range from ½ to 4 inches. 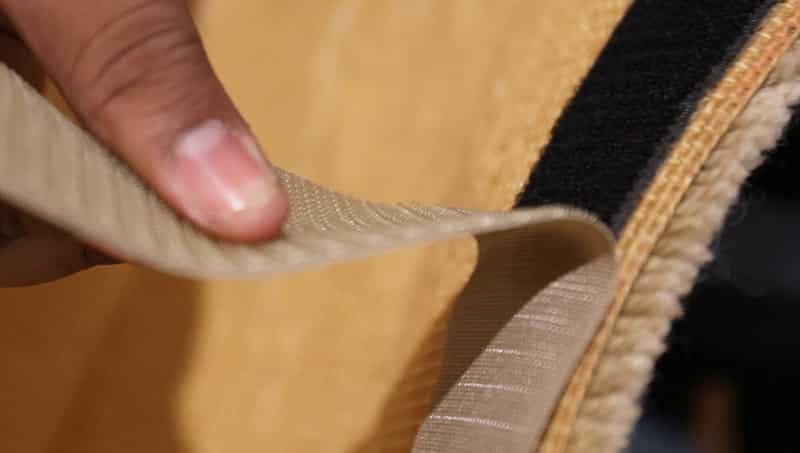 For pieces that are heavier and longer, you should choose wider pieces of Velcro. The wider strips of Velcro are best for supporting a larger tapestry. The “fuzzy” and softer side of the Velcro should be sewn directly onto to the back of the tapestry. Cotton buttonhole thread is what we would generally recommended as it’s quite strong and durable. 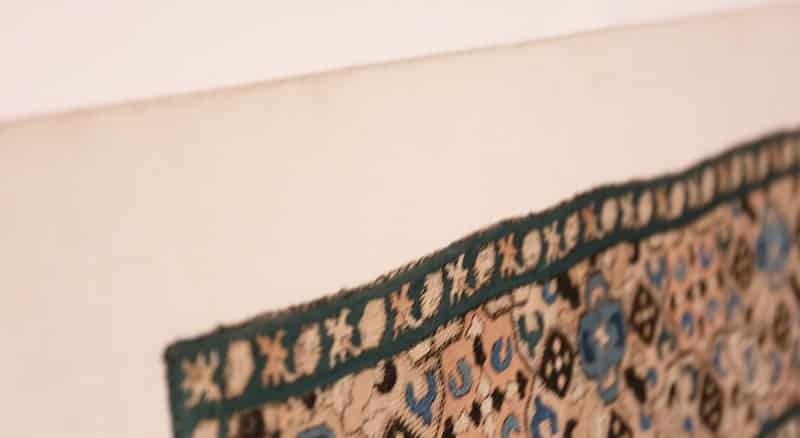 As you sew the Velcro the back of the tapestry, make sure to include two warp threads as this will ensure the stitches are strong, thoroughly in place and the tapestry will be secure when hung. The color of the thread should also be a shade similar to a dominant color in the design of your tapestry. This allows the threaded stitches to mesh with the other hues. Next, drill holes to the ends of a piece of wood or baseboard. These holes will be used to fasten the wood to the wall. Make sure the wood is smaller than the tapestry’s width and when drilling holes, they should be the same distance from the center of the board. You can use a tape measure or ruler to keep things consistent. Then, you will need to attach attach the stiff side of the Velcro to the piece of baseboard or wood. This can be done quickly using wood staples. When doing this, you would want to ensure the Velcro doesn’t cover the drilled holes. You will need to fasten the board to the wall first. 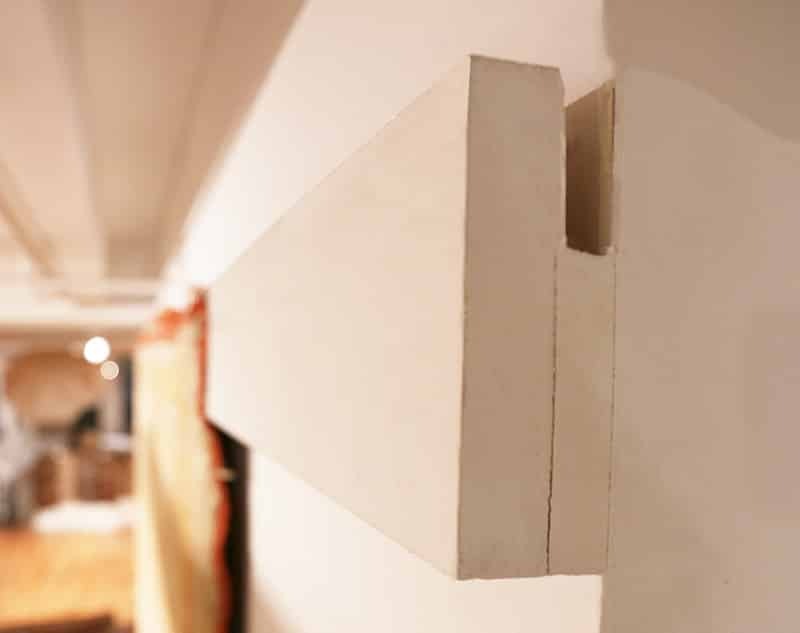 When doing so, you should make sure that the board it straight, level and fastened strongly onto the wall. 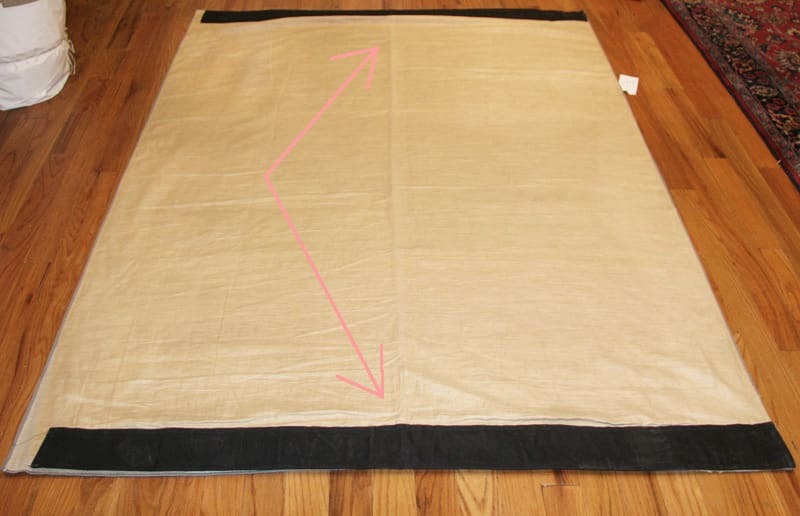 When level, use the Velcro to secure your tapestry to the board. Slowly press the Velcro onto the tapestry against the piece that is attached to the board. Secure the pieces together working out any lumps or bumps. If measured correctly, your tapestry should be hung level. You may want to sew the Velcro to both the top and bottom of the piece you would like to hang. This will give you the option of stretching it to help remove any folds. *Please note that if the wall you’re hanging the tapestry on is curved, you will probably need to secure the Velcro to the wall directly without using a board. By doing this, you will ensure that the hung tapestry will have the same curvature at the wall. *As you can see in the images, we at Nazmiyal actually attach the Velcro directly to the wall. Some double sided Velcro will have an adhesive side which you can use to “stick” directly to the wall. We do suggest securing it with some nails or pins to ensure that it could withstand the weight. 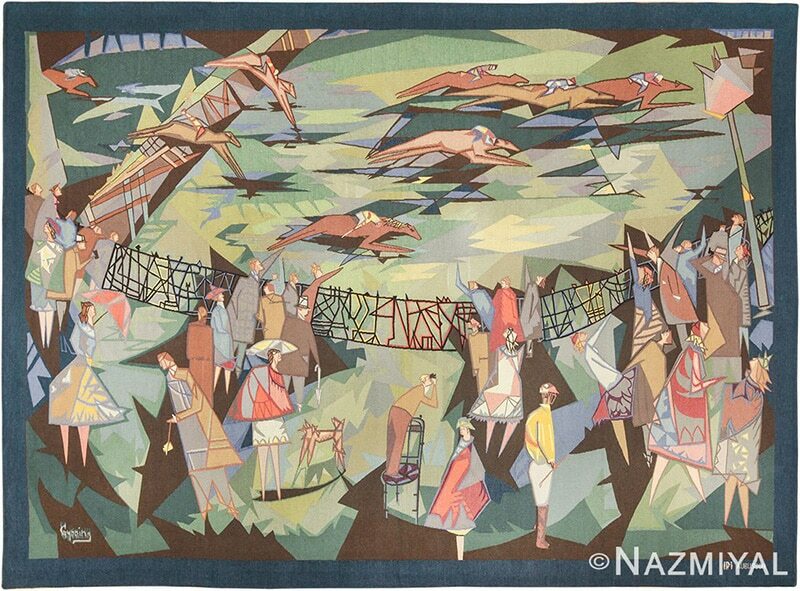 You can provide a rigid backdrop to your decorative tapestry by mounting it on stretchers. This method involves taking a heavy fabric or canvas and stretching it over a frame. Next you would need to fasten the tapestry to the stretched material. This method of mounting also adds a unique border to your decorative wall design. Design a wood frame by cutting thin pieces of wood in your desired width and length to match the tapestry. You can either screw or glue the pieces of the frame together. If you’re looking for more stability, you may want to try corner brackets. A cut piece of painted plywood can be a an ideal background for the frame. 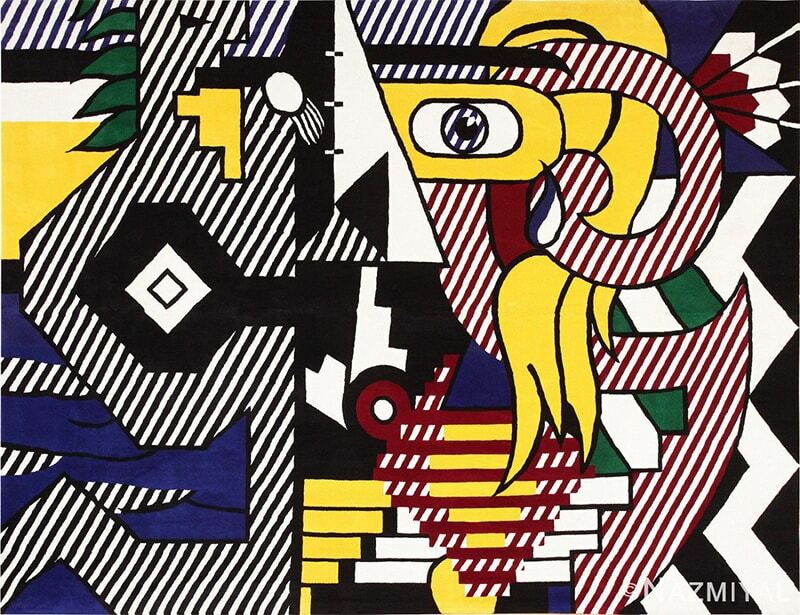 The wood frame should be wider on each side of the tapestry by at least an inch. But you can use your own judgement based on your preferences and have as wide or narrow of a framing border as you wish to see. Please note that if you are working with a tapestry that is heavy, your best bet would be to use a heavier framing material. Stretch the canvas or other heavy material over the frame. Make sure the fabric extends a minimum of 1 1/2 inches in length on both sides. This will ensure that the material is easier to fold over the edges. You can then staple the backing fabric in place and onto the frame using wood staples. If you’re looking for something lightweight, silk can make an excellent border. But you’ll need to stretch it over a canvas that is strong or some other sturdy material. This provides the required support under the canvas and allows you to achieve the desired look you want with your tapestry. Soft cotton flannel can also be used in the middle and in between. 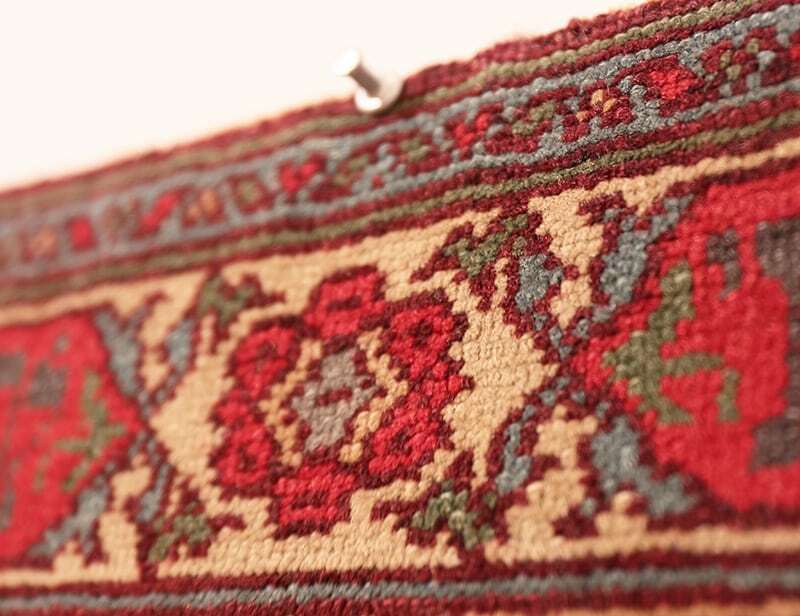 You’ll need durable cotton thread to stitch your decorative tapestry onto the material. 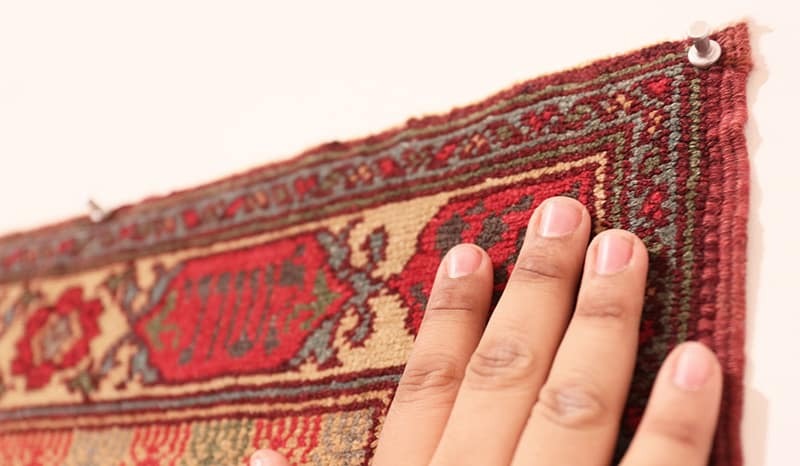 Stagger the stitches when you’re securing the tapestry to the backing material. The stitching should cross two warp with every stitch. To ensure that your thread matches, and you can’t see the stitches, you would want to choose a thread color that will mesh with the other hues in your tapestry. Make a practice stitch to ensure the stitches aren’t visible from far away. You can fully support the bulk and size of your tapestry by sewing along each edge as well as any other areas of the tapestry. You may also want to blend both the Velcro and frame methods by fastening Velcro to both the frame and tapestry. If you wish to change the location of your tapestry and rotate the walls you’ve placed them on, you can undo the Velcro and easily change things up. You can also use a store bought frame for your tapestry if you don’t feel like making your own. 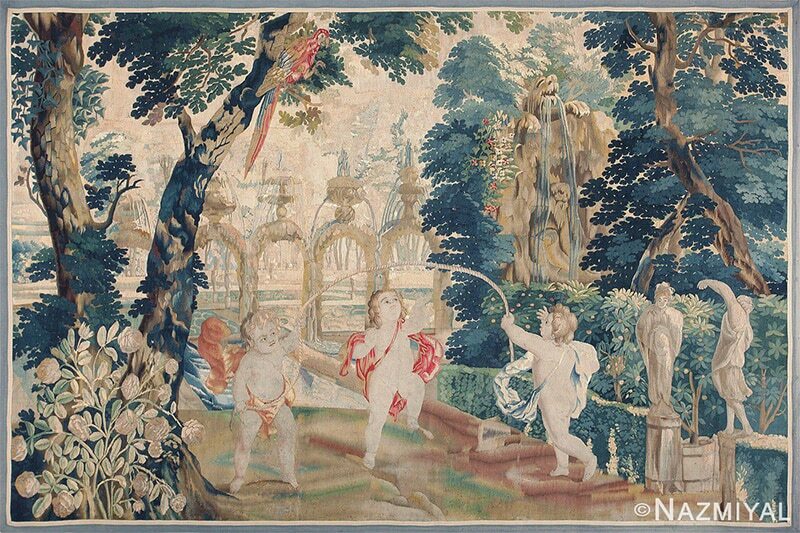 Take a photo of the tapestry when searching for the ideal frame. 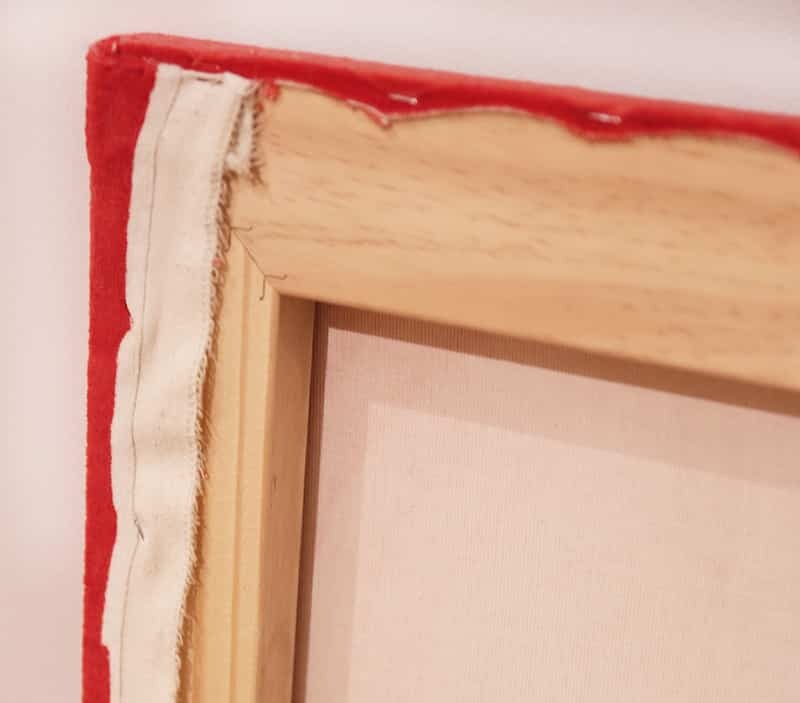 You should also ensure that there’s ample room for both the canvas and tapestry inside of the frame. The glass or shatter proof plastic covering should never make contact with the tapestry as it could cause moisture build-up. When museums display their delicate artifacts and tapestries, they often use a shadow box frame for added protection. 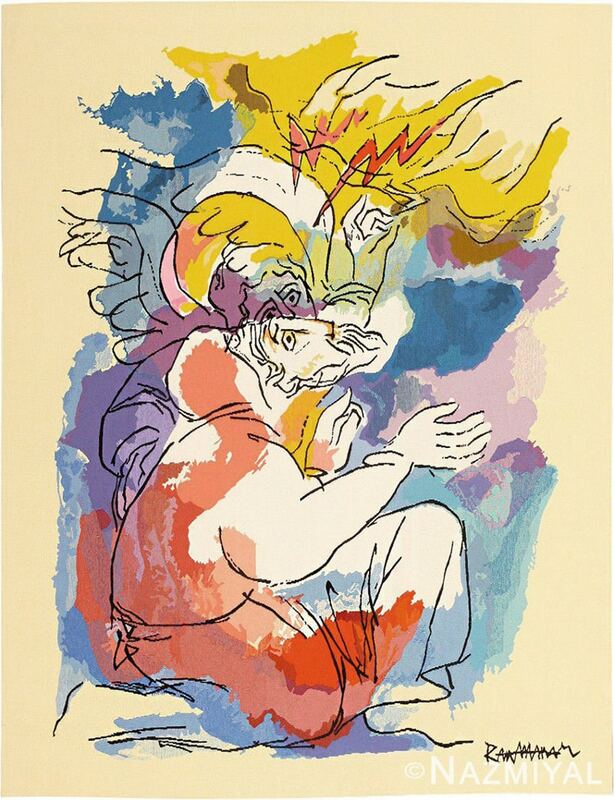 You can prevent moisture build-up inside of the frame for your tapestry by ensuring the air can circulate properly. Locate the studs using a stud finder. Place the two screws partially into the wall and place in a suitable spot for the frame. Rest the frames edges on the screws and hang. 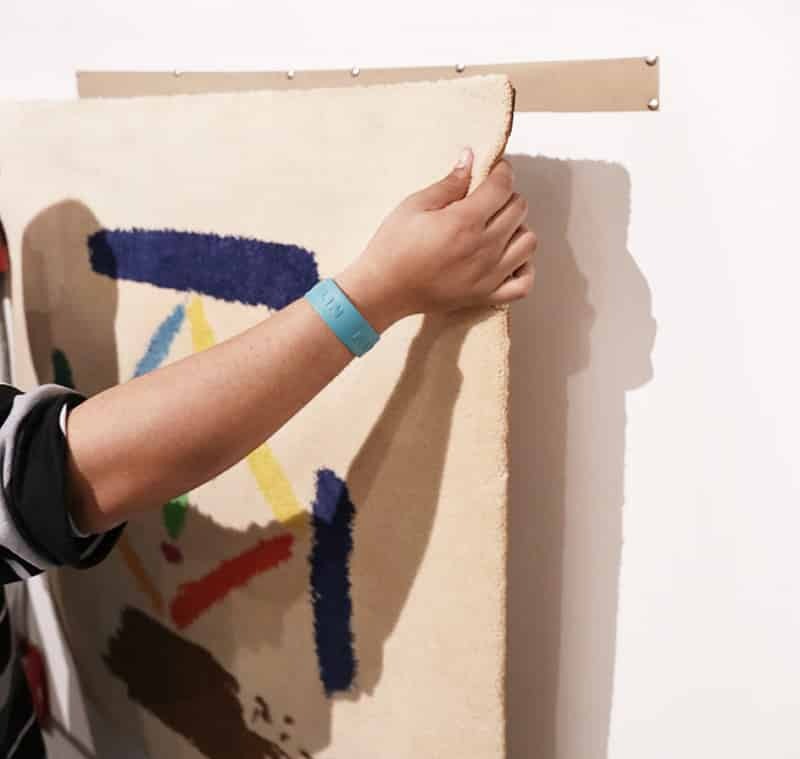 Use a level to ensure that your tapestry and frame are straight. 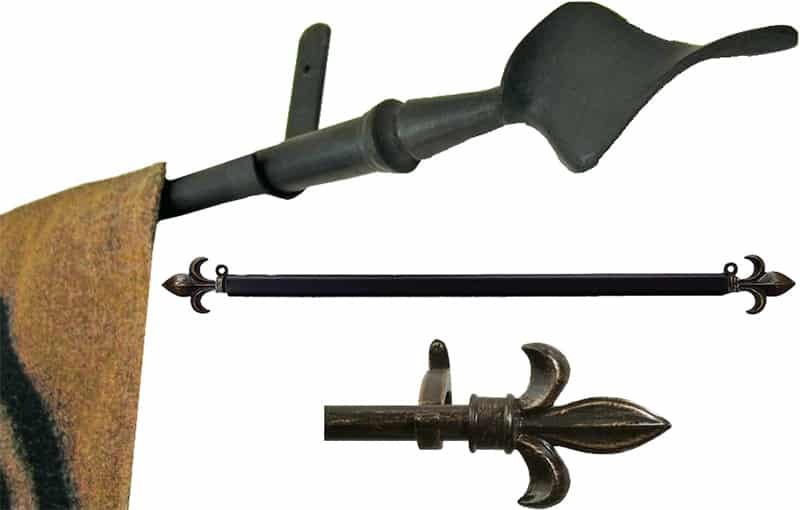 You’ll find an assortment of hardware made specifically for hanging framed pictures. 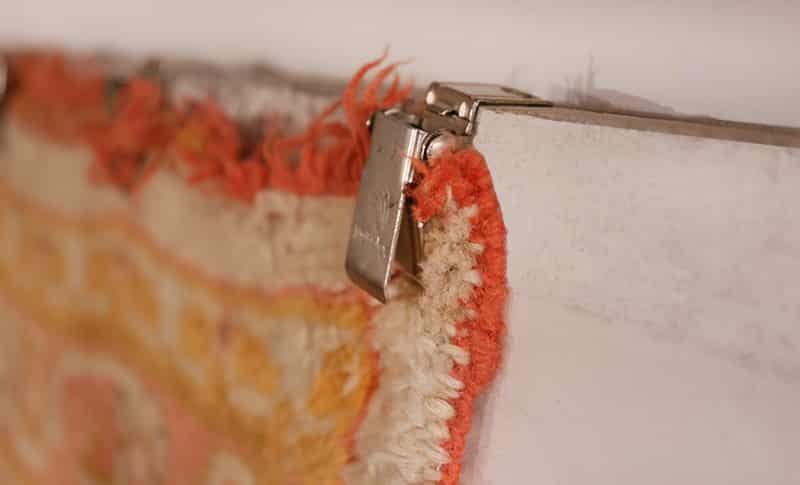 If your tapestry and frame are on the heavy side, you will need to use a sturdier form of hardware to ensure the frame doesn’t fall and break. 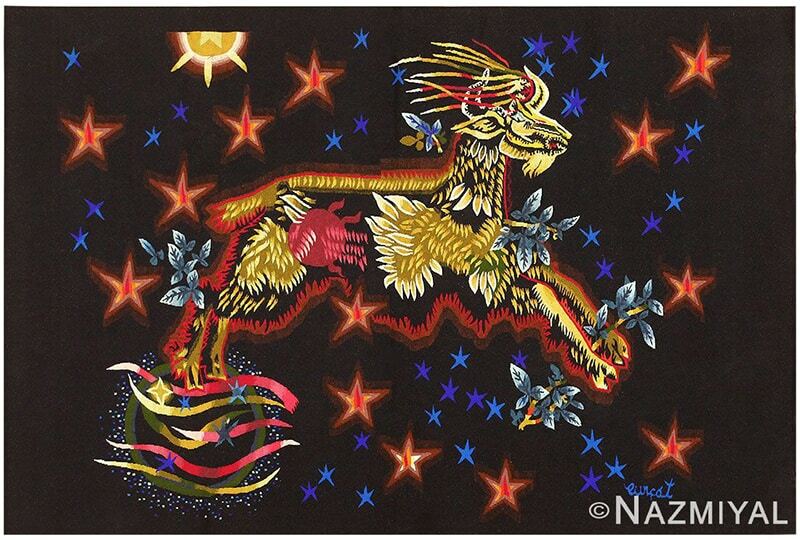 You want to hang a tapestry using pushpins or nails only of it is a very small or light piece. For smaller pieces, you might only need to use one pin / nail in each corner and maybe one in the center to ensure that the top edge is straight. 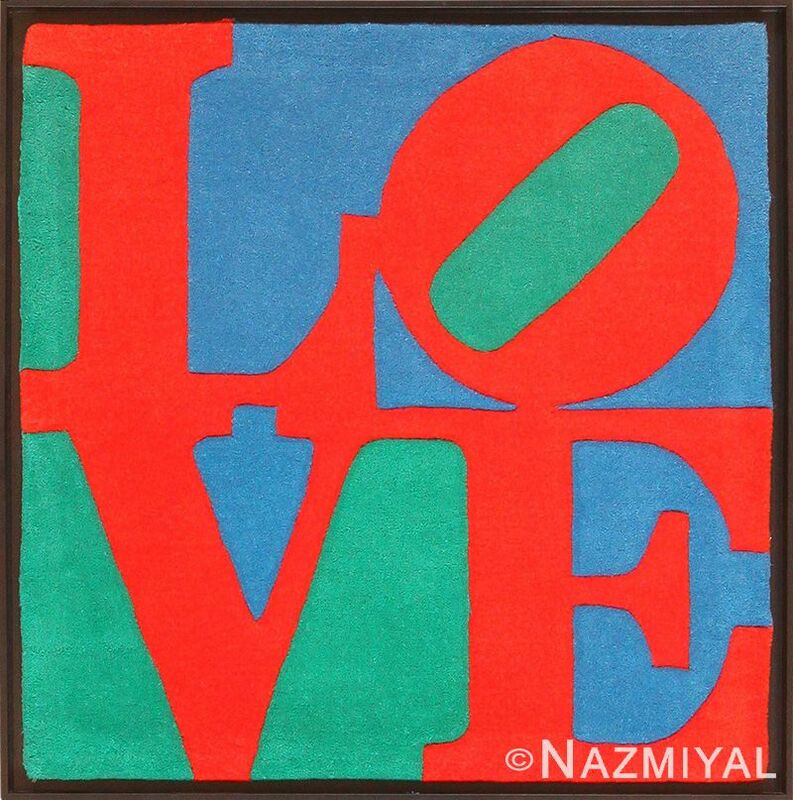 If you have a larger tapestry, you would want to use a pin / nail every 10″ – 12″. This will ensure that it is straight and that the weight is evenly distributed. Using too few or spacing them out too much could put too much pressure on one of the pins which can result in tears or rips. So err on the side of caution when using this method. 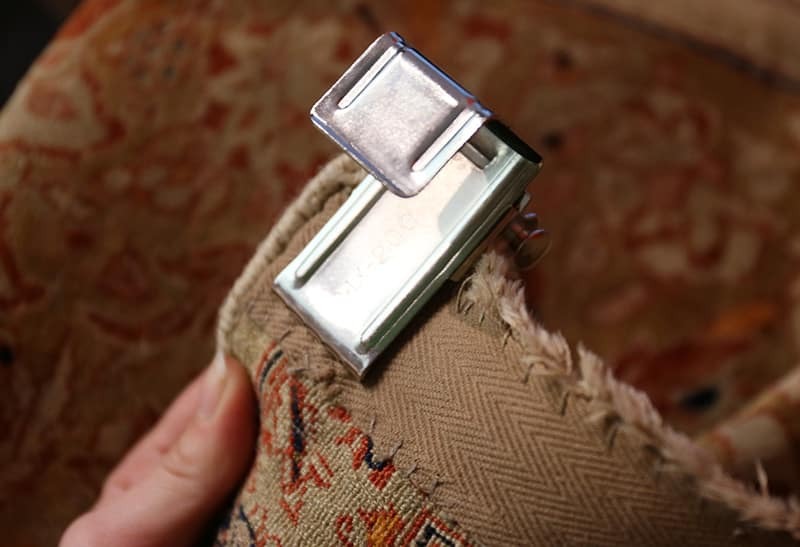 If you walk into almost any antique carpet gallery, you will notice that they display their carpets and rugs on the wall mostly using “rug hanging clips”. For this you will need to do a bit of prep work. 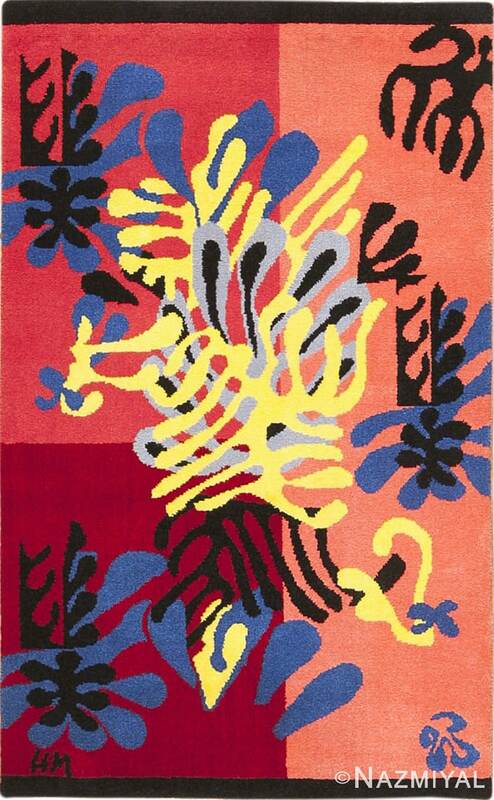 The first thing you want to do is select the exact location you want the rug or tapestry to be hung. Once you know exactly where you want to display your tapestry, the first thing you would need to do is drill a piece of wood directly onto the wall. Make sure the wood is a bit wider than the tapestry or rug. Next you would want drill another piece of wood, this time a bit “thicker”, to the first one that is already attached to the wall. 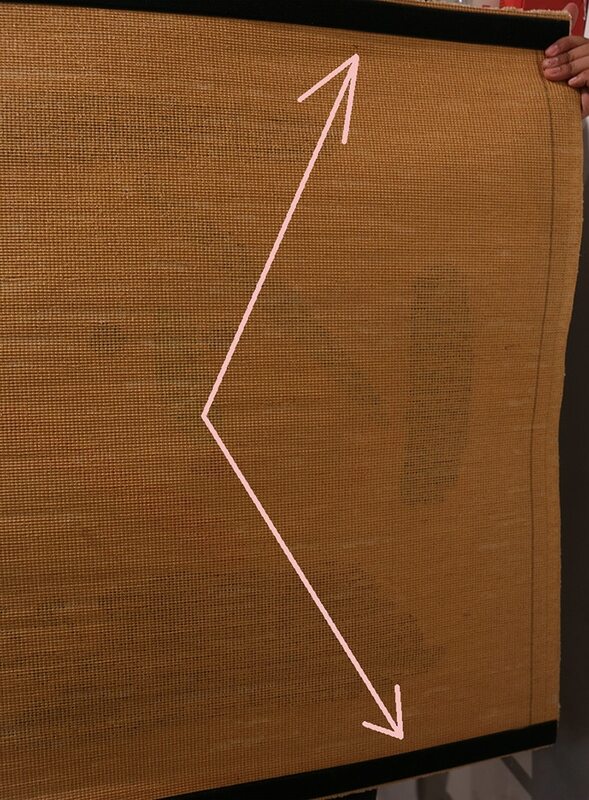 The second piece of plywood should extend about one inch above the first one. 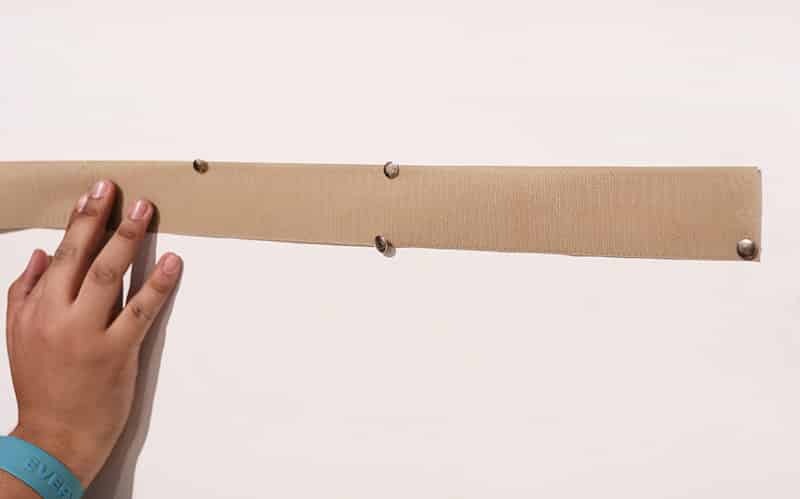 This newly created “step” between the two pieces of wood is where you will hang the clips so it need to be just slightly deeper than the clip itself. Next, you want to attach the clips to the tapestry or rug. Space them evenly, just like you would do if you were using push pins – about 10″ apart. You should use more clips for heavier pieces and less for smaller and lighter ones. 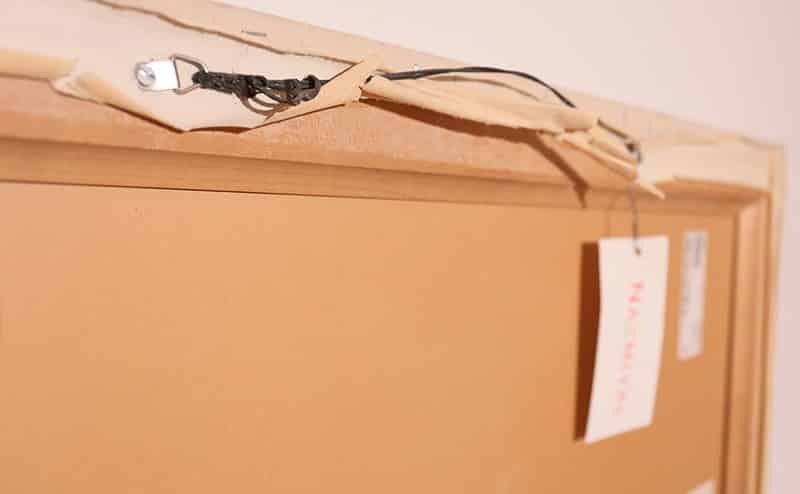 Once the clips are in place, you will need hang the clips on the wood. 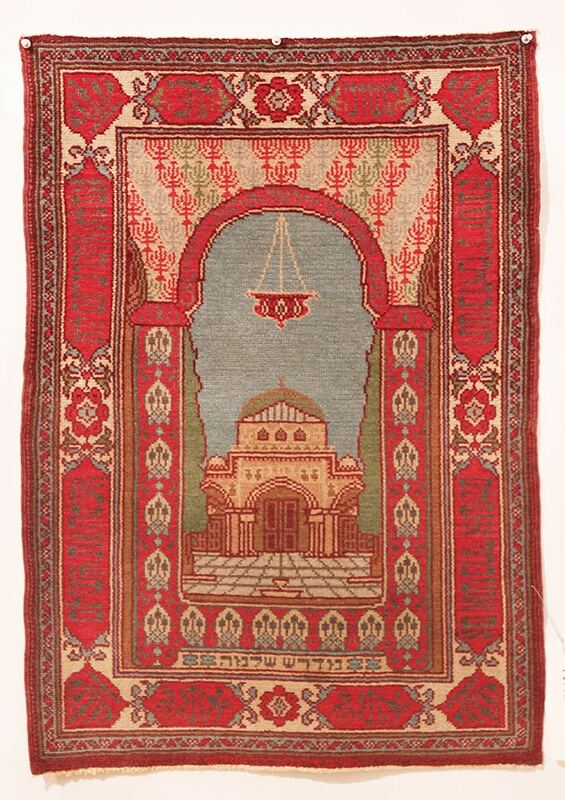 You may need another person to help as handling heavier and larger tapestries or rugs may be difficult. Once the clips are in place, make sure to slowly let the tapestry unfurl. You don’t want to just drop it as it may rip. Lastly, you want to make sure that the clips keep the piece taut and straight. That will give you the nicest visual impact. 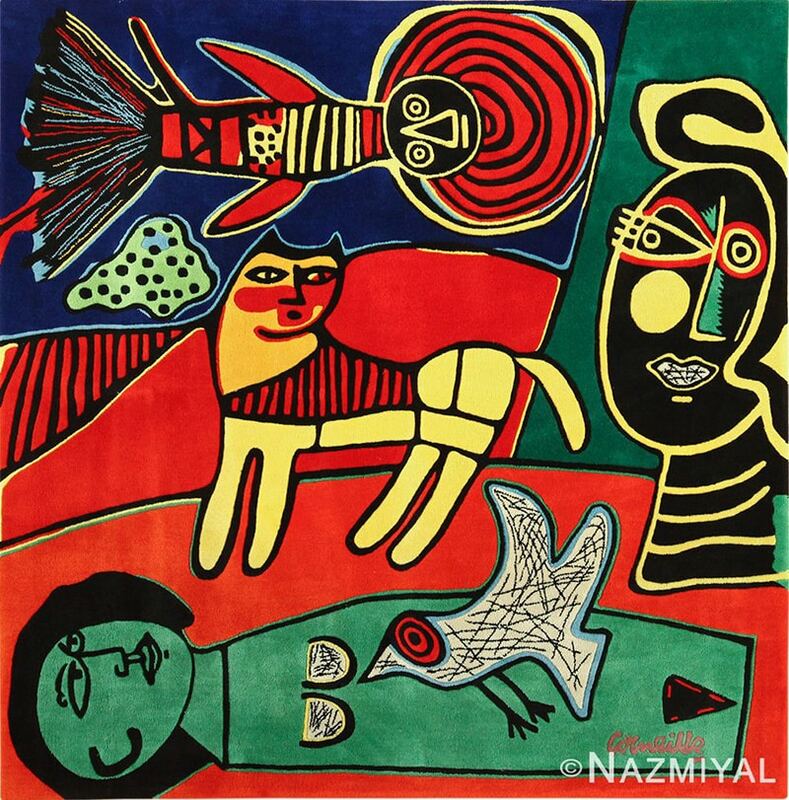 Now that you know how to hang a tapestry or rug on the wall, here are some artistic pieces you may want to consider for your walls. 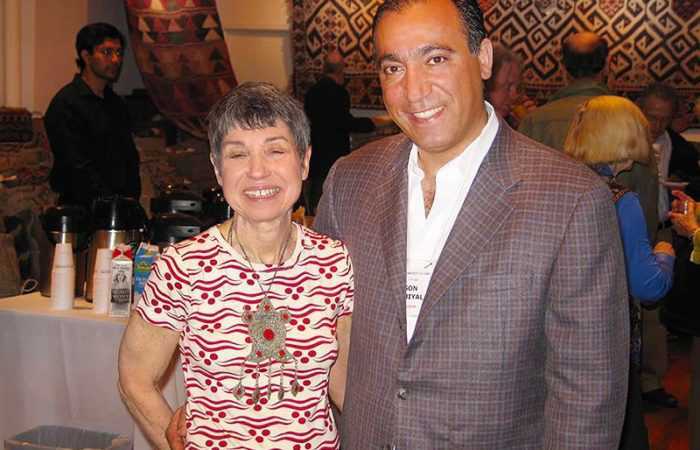 This rug blog that talks about how to hang a tapestry or rug an a wall was published by Nazmiyal Antique Rugs in New York City. Sun Fading Rugs – Can Sunlight Damage Carpets?